Nagpur (Maharashtra) July 13 (IANS) The Maharashtra legislature witnessed an uproar on Friday after an opposition member said pages written in Gujarati language were being printed in a Marathi school textbooks for Maharashtra schools. 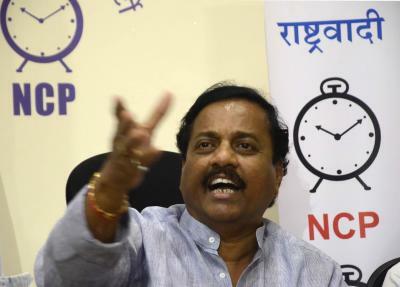 This is the second time such a goof-up has led to chaos in the Maharashtra legislature this year and sharpened the Marathi-versus-Gujarati debate in the state. Earlier during the budget session in February-March copies of Governor C. V. Rao s address to the House was circulated in Gujarati after which the Opposition had staged a walkout. Nationalist Congress Party (NCP) member Sunil Tatkare on Friday took strong objection to two pages in Gujarati being printed in a Class VI geography textbook for the current academic year. This led to a ruckus as other opposition parties joining in and raised slogans against the ruling Bharatiya Janata Party-Shiv Sena. BJP minister Chandrakant Patil rejected the allegations and claimed no books were printed in Marathi and that it could have been a binding error. He accused Tatkare of having pasted the Gujarati pages to politicize the issue. Tatkare then waved a copy of the textbook in the House and challenged that if the government could prove he was guilty (of sticking the Gujarati pages) he would commit suicide leading to an adjournment of the upper House for the day. Intervening leader of Opposition Dhananjay Munde pointed out that all the 100 000 textbooks were printed by Shlok Printcity Ahmedabad and the stamp of the Maharashtra education department was also printed on them. "You may be helpless when it comes to Gujarat but Maharashtra will not be helpless since it s a matter of this state s pride " Munde thundered. The House chairman then directed the government to enquire into the matter and make a statement on Monday. The Opposition has accused the ruling BJP of appeasing the Gujarati community after Narendra Modi became the Prime Minister. Today the Shiv Sena which has always been critical of the ruling ally BJP maintained silence on the issue barring a suggestion by its senior member Neelam Gorhe to check other textbooks for such errors.